XLC Series - Akwil Ltd.
XLC Series There are 3 products. 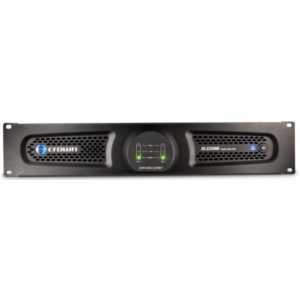 Available in two models, the XLC2500 and XLC2800 incorporate Crown’s proprietary DriveCore Technology, which significantly reduces the amplifiers’ size, while yielding much more energy efficient operation – without sacrificing performance. Crown's CXM2000 is a Cinema Monitor and Crossover System. With the CXM2000, audiences can enjoy wonderful sound from JBL cinema speakers. When used with Crown amplifiers, it allows for either processor input signal or amplifier output signal monitoring, which immediately indicates when a signal path has a problem. Do you have a question about one or more of our XLC Series products? Click below to contact us.